Dover Downs is a harness racing track located within the city limits of Dover, Delaware, on the east side of Route 13 (Du Pont Highway). The harness racing events are actually held on the infield of the Dover International Speedway, a one-mile concrete, banked oval track that NASCAR fans have nicknamed "The Monster Mile". World-class sports action awaits with live harness racing from November to April with a liberal purse structure to attract the best horses and drivers from Delaware, Maryland, Pennsylvania, New Jersey, New York, Ohio and Canada. Dover Downs has hosted harness racing events since its inception in 1969. Live harness races are simulcast to tracks and other off-track betting (OTB) locations across North America on each of the company's more than 140 live race dates. The track is adjacent to its company's casino and hotel and conference center. A typical harness racing season at Dover Downs begins in November and ends in April. Post times are usually 4:30 or 5:30 p.m. The Progress Pace is Dover Downs' signature event. It began in 1996 and during its first seven races, most of the top sophomore pacers in the sport have participated. Aside from the Progress Pace, other stakes events regularly held at Dover Downs include the Matron Series, the Classic Series and the Delaware Standardbred Breeders Fund (DSBF). The auto racing segment of the business was spun off and became Dover Motorsports, Inc. The "Dover Downs" name, however, was retained by the harness racing company. Together, the harness track, the hotel and the casino gaming business formed the core of Dover Downs Gaming and Entertainment, Inc.
Dover Downs Gaming and Entertainment (NYSE: DDE) owns Dover Downs Hotel & Casino, a hotel and casino that accompanies a racing facility. The race track holds harness horse racing on a .625 miles (1.006 km) track and NASCAR events on a 1 mile (1.6 km) concrete surface. The Sprint Cup track is now known as Dover International Speedway, and the Dover Downs name is used for horse racing events. The owner of the facility, Dover Downs, is headquartered within the facility housing both tracks. Dover Downs Hotel & Casino features dining, accommodations and conference space. Primary features of Dover Downs Hotel & Casino include a hotel, dining options, over 2,700 slot machines, 40 table games, and the Rollins Center, an 18,000-square-foot (1,700 m2) multipurpose ballroom which features entertainment as well as hosting business conferences, conventions and banquets. Steelman Partners was the original architects and interior designers in 1995. Opened in autumn 2007, the expanded hotel added 268 additional rooms, including 52 suites, and 11 spa suites for a total of 500 hotel rooms. This makes Dover Downs Hotel & Casino the largest hotel in Delaware. Imagine - if you can - the thrill of combining your love for harness racing with your passion for NASCAR racing. Impossible? Not if you come to Dover Downs. This great racing complex in Delaware will thrill and excite you as it offers both sports on separate tracks within walking distance of each other. You can catch your favorite horse early in the morning then simply walk over to the speedway and cheer on your favorite driver. As the name suggests, Dover Downs Raceway and Casino is situated in Dover, Delaware. The track is part of a rather large entertainment complex which trades mainly in various forms of gambling. To start with, there are the Dover Downs Slots - 91,000 square feet of great video lottery machines. Originally opened with roughly 500 video lottery machines, the casino has since been extended four times and now has 2,500 machines. Then there is the Dover Downs Raceway. The Raceway is a great harness racing track with pari-mutuel wagering facilities, live horse racing and simulcast coverage. The raceway has been presenting pari-mutuel harness racing for almost four uninterrupted decades, with racing season here starting in November and ending in April. Between races, simulcast coverage of other tracks allows for off-track betting which keeps the track very much alive. The track is fully licensed and offers enjoyable wagering. Another aspect of the entertainment complex is the Dover International Speedway. Nicknamed the 'Monster Mile' this unusual concrete track is exactly a mile in length and is notoriously hard on cars and challenging for drivers. So if enjoying the thrill of auto racing and horse racing rolled together with the enjoyment of casino slot machine gambling, make your way out to Delaware to the Dover Downs Raceway and Casino complex. If you're from out of town, you can book a room at the fabulous Dover Downs Hotel. 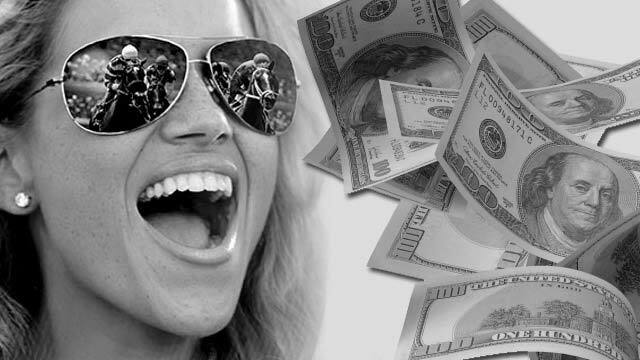 Together all these facilities offer a virtually unbeatable wagering-orientated experience. The beautiful, smoke-free casino features 2,500 of the newest and most exciting slot machines, and a full suite of table games including roulette, craps, blackjack, baccarat and more. The exclusive Crown Royal® Poker Room features 18 tables with daily tournaments and the highest average Bad Beat Jackpots in Delaware. 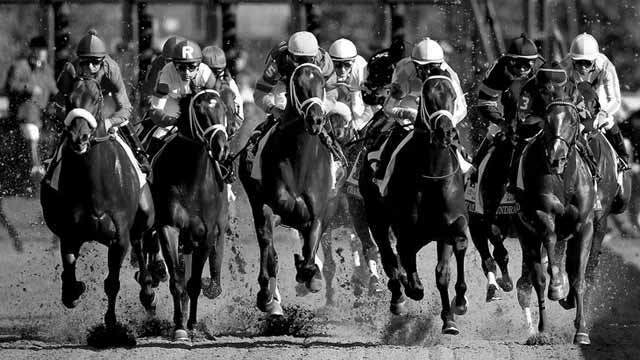 You can also wager on harness and thoroughbred horse racing from across the country, 363 days a year in our Race & Sports Book, in addition to professional football sports betting. Our casino hotel adjoins Dover International Speedway®, which hosts two thrilling NASCAR® race weekends each year. The luxurious AAA-rated Four Diamond casino hotel is the largest in Delaware with 500 well-appointed guest rooms and suites. The stunning Rollins Center® ballroom and well-equipped breakout rooms accommodate conventions, corporate meetings, banquets, weddings and celebrations of many kinds. Exceptional customer service, top-notch gaming operations, luxurious hotel accommodations, wonderful restaurants, and great entertainment are what you may expect to enjoy. Dover Downs Hotel & Casino has a wide variety of dining options from New York-style deli to a gourmet steak and seafood restaurant. Casual dining includes family-style Italian, specialty seafood, station-style buffet, two gourmet coffee and pastry shops and more. For the ultimate in relaxation, book a treatment at Toppers Spa/Salon offering exquisite spa treatments and salon services in a tranquil setting. Or browse shops like Godiva, Swarovski, The Colonnade Marketplace and Fashions of The Colonnade featuring trendy and classic designer apparel and accessories. With all of these fantastic amenities together in one location, Dover Downs Hotel & Casino has become the premier entertainment and resort destination in the Mid-Atlantic region.